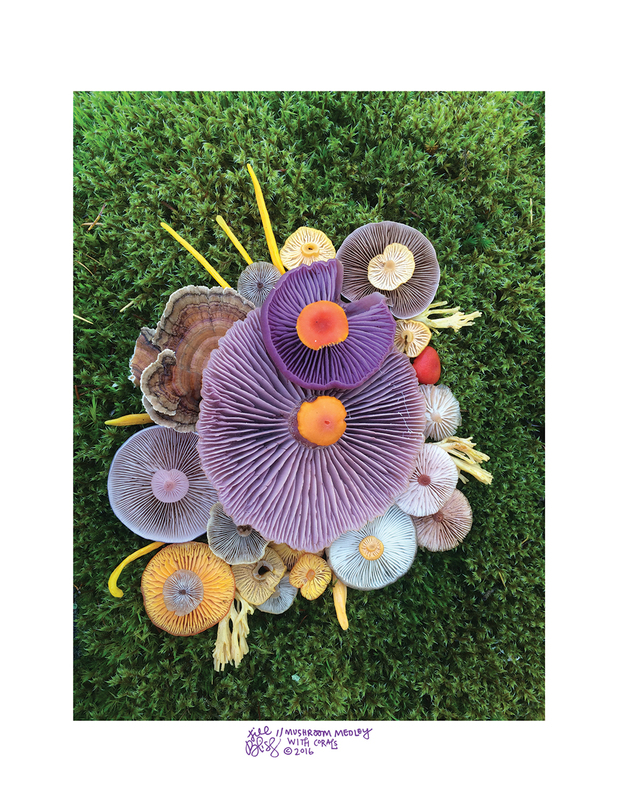 Pacific Northwest photographer Jill Bliss captures stunning fungi collages. We know that mushrooms can make for some pretty gorgeous meals. Whether they're sitting on top of pasta dishes, mixed in with rice and seaweed, or wrapped into a mushroom frankie, they're attractive in an earthy, natural way. Now, thanks to photographer Jill Bliss, we're reminded that mushrooms are also breathtakingly beautiful in the wild, long before they make it to the kitchen. Bliss is an artist and educator who grew up in Northern California. In her own words, "Yes, that's my real last name. (That's usually the first question people ask me, especially out here where lots of people adopt a chosen island name for themselves.)" She's currently living in a cabin on top of a cliff on an island in the Salish Sea, the body of water between Washington State and Canada, where she's surrounded by eagles, swifts, and seals. 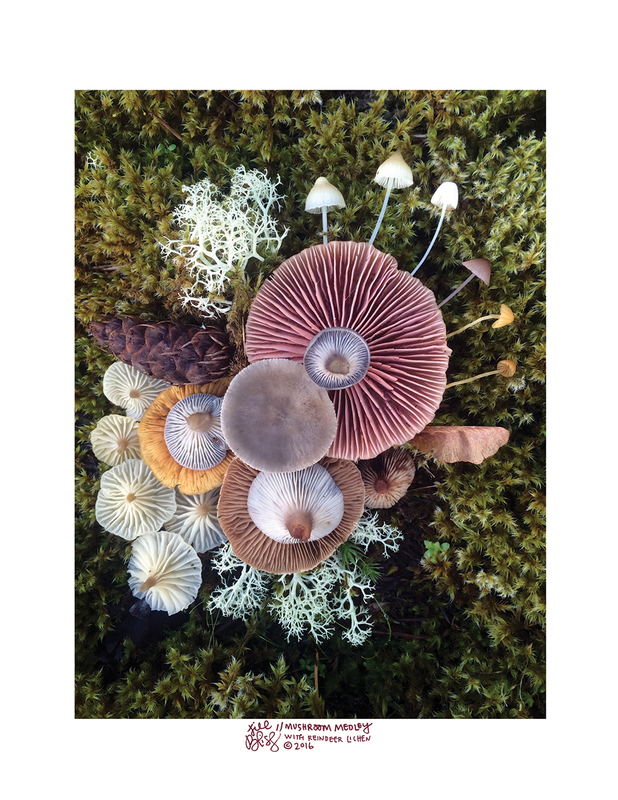 For her nature medley photos, she photographs the wild mushrooms growing in the islands of the Pacific Northwest. Thanks to all the biodiversity there, they get some pretty crazy mushrooms. 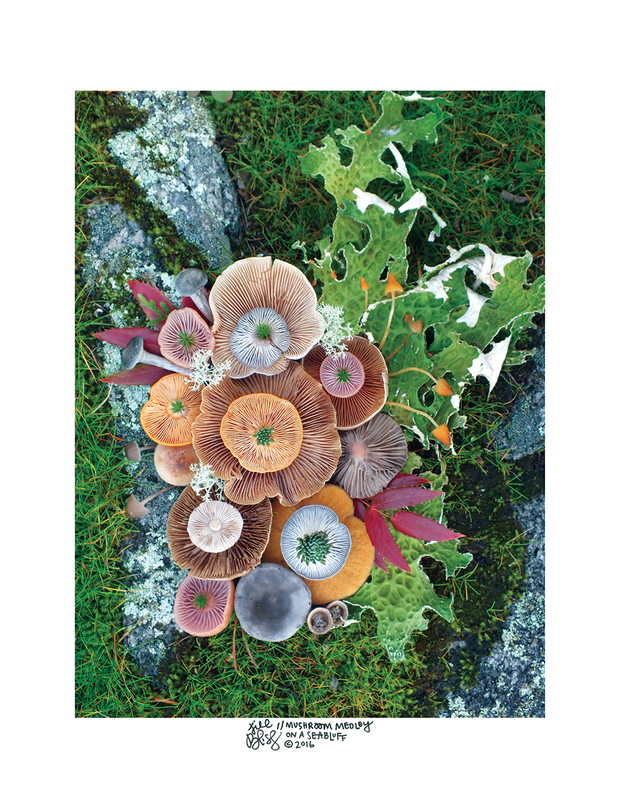 The Nature Medleys prove that mushrooms can be as colorful and gorgeous as, say, a bouquet of flowers. 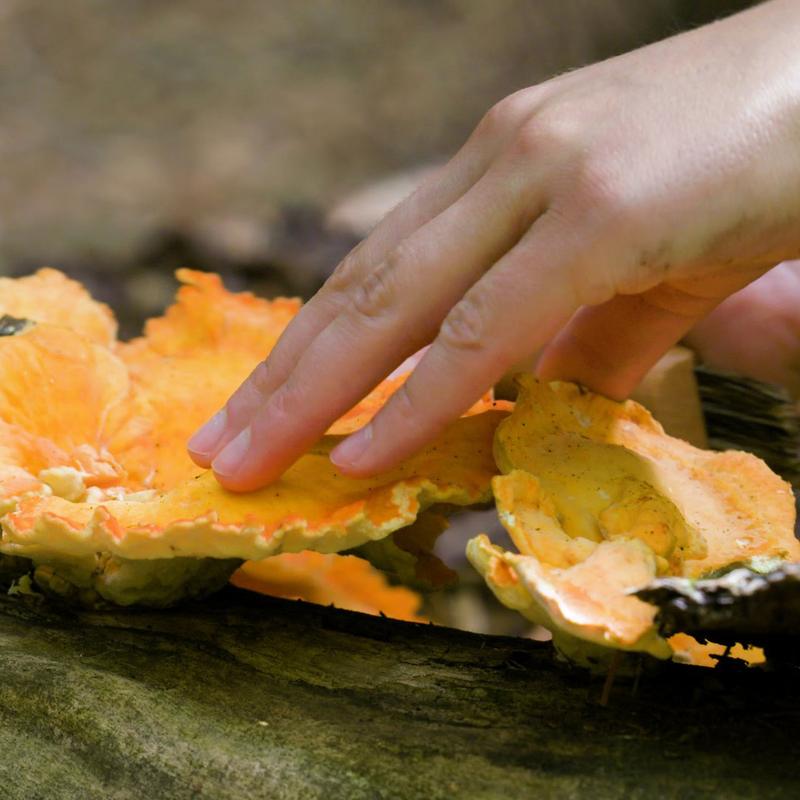 Bliss has found all kinds of mushrooms in a huge variety of shapes, sizes, and colors. You can get prints of Bliss's Medleys at her Buyolympia shop, or, for a smaller (and less-expensive) option, you can buy greeting cards or stickers of her work. Most of Bliss's art is nature-centric, though it's not all mushrooms, and it's not all photographs. Her Anima series is made up of gorgeous illustrations of animals created out of scenes of the habitats they live in. 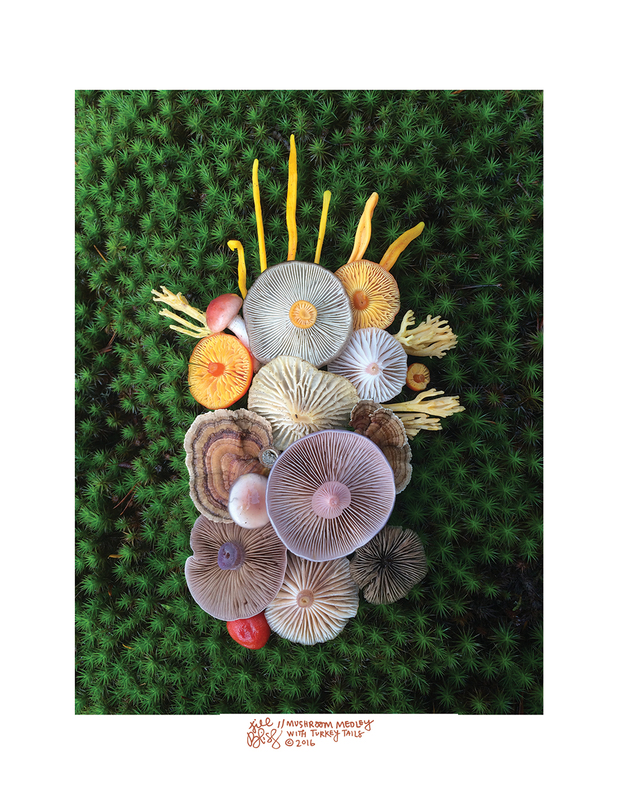 Her Nature Studies series includes illustrations of Pacific Northwest wild mushrooms, of course, as well as of jellyfish and of the birds and insects living around her. You can also follow Bliss's artwork and travels, and see gorgeous views of the Salish Sea on her Instagram.